It takes a village to make a book. Behind every great book is a slew of people who help make it great: artists, designers, editors, publicists. You’re a junior designer. How did you break into designing? When did you first decide to become a designer? I got into design in high school after attending a pre-college program during a summer at the Maryland Institute College of Art in Baltimore. That was a great experience and I recommend a summer program like that if you have the means and are a high schooler serious about possibly going to art school. It completely opened me up to the world of design and what it was beyond what the average person might think of when they hear the term (ahem, “so you make logos?”). After that I was very set on attending college there and majoring in graphic design, which I did! 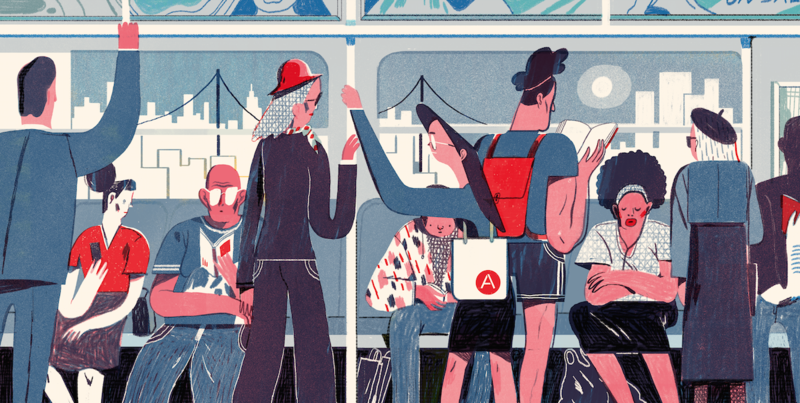 What’s the average day of a junior designer like? I’m not sure what a day looks like for the average designer elsewhere but at ABRAMS Kids, it’s generally a pretty fun atmosphere that I feel lucky to be a part of. We have a small, close-knit design team. We even hang out with each other when we don’t have to. 😉 Having a team of people that you like and get along with is an awesome added bonus to already liking what you do for a living. If that’s not the case it can make any job ten times harder. Some days (weeks) are extremely hectic and fast paced. We all have a lot of deadlines we are trying to meet to get these beautiful books out into the world for you. Other days are a bit calmer and we can take a second to check in with each other and our art director on where all of our books are in their process. Every day is different but I might spend a lot of time laying out and setting the interior of a book, working on cover comps, answering artist emails, converting hardcover books to paperbacks, meeting with our production department, meeting with editors, etc. Sprinkle in a healthy dose of workplace antics in between these tasks and you’ve got a typical day. Do you work on covers, interior art, digital design? What’s the design process like for the things you work on? I work on pretty much everything from interior book design to cover design, as does everyone on our team. There are definitely some less glamorous aspects to book design like making text corrections within a 300+ page novel, but everyone from myself to our art director has to do these things. At this point I’ve designed and helped on a handful of covers throughout all of our ABRAMS Kids’ imprints. There are a lot of systems set up to keep the process of making our books as organized and as seamless as possible. Covers come to life in a fairly organic way with a lot of input from the rest of the team as well as our editorial department. We have a weekly cover meeting where Editorial, Marketing, and Design all meet to discuss in-process covers. From there we take the feedback and either implement it ourselves or go back and ask for new sketches from the illustrator. What advice would you give to people who may want to become designers? What are some of your favorite books to have worked on recently? What books do you think people should have on their radars going forward? 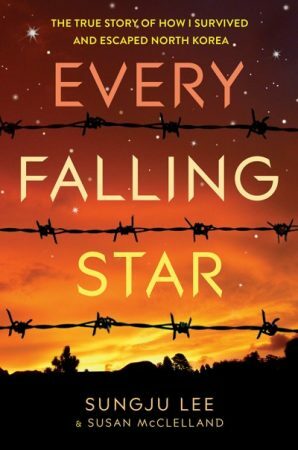 Every Falling Star was the first book I got to fully design on my own from start to finish, so that was really cool and it’s been a trip seeing it on shelves in bookstores. I’ve also worked on a lot of picture books for our Books for Young Readers imprint, which has been fun because I am getting to work directly with illustrators and learn about that process. There is a TON of great stuff coming out of Amulet. I don’t want to give out any secrets, so just keep up with this blog and you won’t miss out! As I write this, I’m multitasking on some interior layouts for our Dr. Critchlore series. These have a fresh new look and book three is due out in the spring so check them out! What else do you want people to know about being a junior designer?